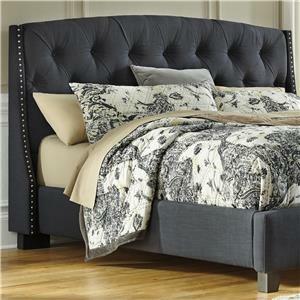 The contemporary design and functionality of this headboard is sure to make a statement. 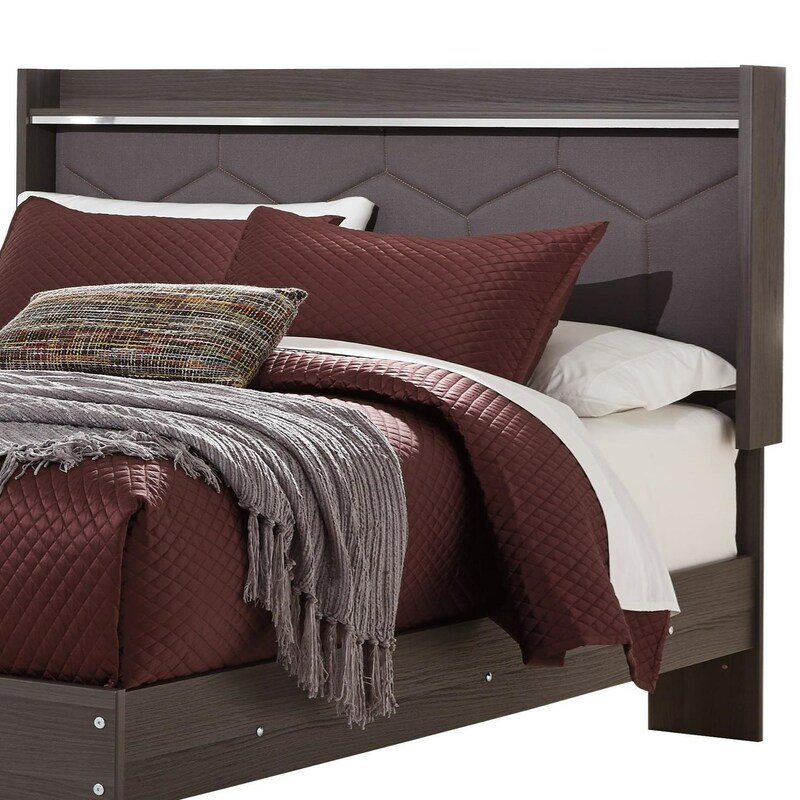 The headboard features an upholstered center panel with a hexagonal pattern. At the top of the headboard is a small shelf and chrome finish accent with a color changing LED light. The LED light is color changing and is capable of sound response with a free mobile application. 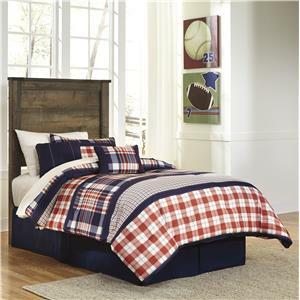 The headboard requires a bed frame (sold separately). The Annikus Queen Upholstered Panel Headboard with Shelf and Light by Signature Design by Ashley at Household Furniture in the El Paso & Horizon City, TX area. Product availability may vary. Contact us for the most current availability on this product.